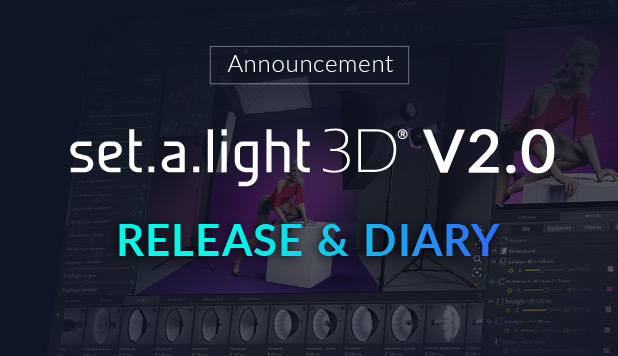 Desperately want to know, when set.a.light 3D V2.0 will be available? Now it’s time to put together all of the seperate and finished components of the software, which you might have already seen in our feature-list. The important framework and the core of V2.0 are clear, now we’re making some final adjustments. We want to keep you up-to-date on the last steps of our software-engineering process and inform you about relevant news – so make sure to come by every once in a while. We can finally make a statement: In transition to September set.a.light 3D V2.0 should also be running on your computers at home. We plan to release the software in calendar week no. 36 to all of our pre-order customers. All members of the elixxier team work hard and fully motivated on our new version, nobody’s on vacation, everybody is helping! Yeah, it has been quite a long way since our first announcement. This path had some steep cliffs we had to climb up and some obstacles we had to overcome – but we’re so proud that we’ve carried our baby (nearly) until the ende now. My Mac version is also available in about 30 minutes !! my developers are doin everything they can today and also tomorrow – and it looks very good. My patcher still has some problems, but I’m sure they have a solution in mind for that. Our team will also send out a newsletter when I’m finished. Of course we’ll inform you here on the blog, on Facebook and on Instagram. The pre-order customers will find my installers in their accounts on our website. our final build-tests and codesigning-tests have been great, everything went well. My engineers say my installers for Windows and Mac would be signed know as well. I’m a software and not a developer, but I still understand what they mean – that basically just says that the operating/system software recognized elixxier Software as a trustworthy company and I can be installed sommothly and seamlessly. Only the “patcher” is still annoying us a bit, but I’ll tell you more on that tomorrow. after a looong and hard weekend full of work, still nobody in our offices can lean back and relax for a moment. Things are going crazy and the development team is checking each of my screws to see if they’re really tight and working. While their last tests are running, the rest of the team prepares the necessary things for the customer’s download for the end of this week. We also prepare some information that tells them where they will find their downloads and how to manage it. The downloading and installing itself is the critical and hardest point right now, but we’re set for the grand finale. Nearly every part in my structure has found its place and works pretty neat! Now it’s up to a big weekend shift for me and the guys to get this thing ready to release to the customers next week. today’s going to be a very short update only. I’d like to stay longer and write more, but this is the first time today that I’ve got about 5 minutes of spare time, so I’m just going to quickly leave a few sentences here. Everything is very hectic and stressfull around here. All of the developers know exactly what they’re doing, but every handgrip or movement has to be perfect, if they want to push me out to the pre-order customers next week. In the meantime, the rest of the guys is preparing everything that’s necessary for the release, like the shop website, a newsletter, media, … We need the users to understand where they can find and donwload me later on! on some days in my development there’s just nothing new to say. Just like today, more or less. The guys are still cleaning up various small parts of my code, but they mainly do the important bugfixing now. Our few beta-testers showed us some small issues, that we have to work on. It’s not much, but still crucial to give out the software as tidy and spotless as possible. it’s a new week and we’re starting of where we left yesterday – full of motivation. It’s going very well and my engineers hope that everything keeps on going fine without any further obstacles or problems. Today and in the next few days they keep on optimizing my code and clean up some small issues. It feels like the guys and I have come around the last corner of a marthon and are now on the last straight towards the finish line! of course there’s lots of things to do, even if it’s saturday. The team wants to finish me as soon as possible, so there are some weekend shifts recently as well. That means less time to relax for me, but sometimes I can still lean back and let them fix the stuff with the licensing. Everybody that wants to use me later needs an individual code. He has to insert this code into me after installing me, in order to “unlock” my features. If the tool doesn’t give out correct numbers or if they couldn’t get unlocked, nobody would be able to work with me… – that would be horrible, especially for the guys who already pre-ordered! But luckily, my team consists of real pros, and they’ve handled everything perfectly! finally, nearly all of my models are completely finished. You can see how all of my small pieces come together in this big puzzle now. Many small changes are made daily by my engineers, but there’s a very tough task coming up soon – they’ll have to increase security by working on our licensing tool. Anyway, everybody in our team works very hard, because they know, that I’m very close to being complete. How exciting! the end of this week has been soooo boooring! Their work on my components hasn’t been exciting at all for my architects, but it had to be done anyway. Many small optimizations on my mipmaps and a performance boost have been on our agenda. A slow process, but an important one, because otherwise, lots of users could complain about me not working properly later. today I’m in a shopping frenzy! The models finally receive the rest of their long pre-ordered clothes. Those have been finished already of course, but now have to get finally integrated. Until now, only a few pieces of clothing have been available for testing purposes, but now they can fill up some huge closets. They need to have some stuff to wear, don’t they? They also talk about “ray-trays in depth of field”, which has something to do with bugfixes in my camera. I’m glad that I didn’t become a software engineer! today we started to work on my new exporter. Lots of users are extremely hyped for that, because you can soon add your own logo and some notes to the setplan. For this to work, my architects began to weave in this finished feature into my code. The boys don’t have any spare time, that’s why they start to work on other nooks and crannys. I had some small problems with switching between the cams, but my developers got that fixed with their “healing hands”. Now everythings works fine and I can easily change the perspective between any desired number of them. It’s a whole new feeling to look at the same setup from different angles by simple clicking one button. There’s going to be more news tomorrow. after the focus around here has switched to some hard challenges in my lighting calculation, my creators are implementing the big packages of interior equipment and 3D content these days. Plants, chairs, couches, … everything you need to set up your own studio is available. In the meantime, my engineers also work on my code and optimize it further. There are also some small, but exciting tasks regarding the exporter to come. I’ll tell you more on that soon!